Arrive early! You can collect your race number (which this year includes a timing chip) in the main sports hall between 9am and 10.30am on the day of the race. Parking – Please do not part on Roman Road, as it’s part of the race route. 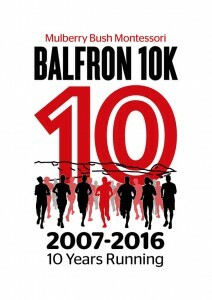 The race starts and finishes at the Balfron Campus (High School). Please see map below for directions. 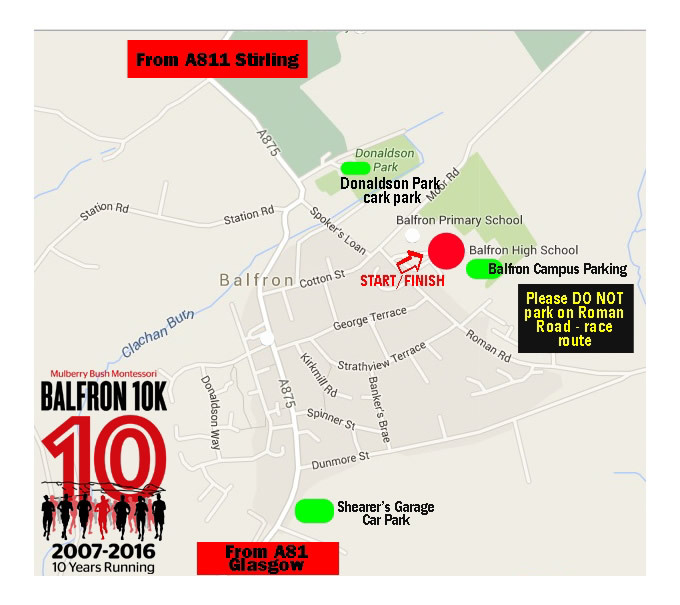 Alternatively there is on-street parking available but PLEASE DO NOT PARK on Roman Road – as this part of the race route. built in) and safety pins will be provided at this time. yourself organised and avoid any rush as we get nearer the race start. owner’s risk and no liability is accepted for any losses. Please use common sense, and don’t leave valuables. The race starts at 11am with a safety briefing at 10:50am – please be assembled at the start by this time. assemble according to expected finish time, the fastest at the front. before the return point – again DO NOT cross the road. Only take water from the left hand side of the road. where you will be marshalled onto the pavement on the right. village. Please be very careful of these at the start in the crowd and at the finish when your legs are tired. Please also be aware that the route follows a country road, and that the surface can be uneven in places. responsible for your own safety at all times. difficulties or concerns, please contact them or any of the race marshals – identifiable by their hi-vis jackets.